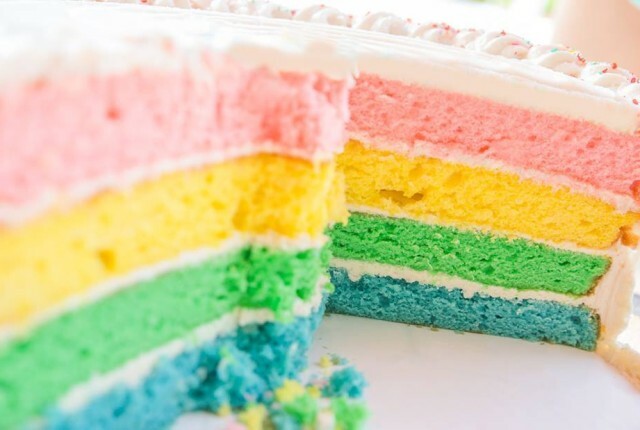 A rainbow colored vanilla cake with vanilla buttercream icing on top. 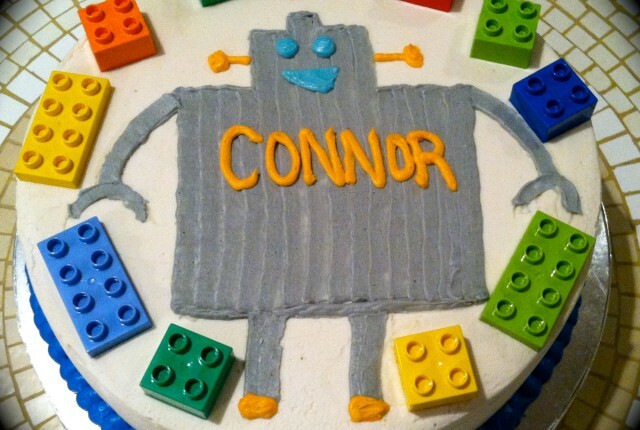 A chocolate birthday cake covered in creamy vanilla buttercream, with an icing robot illustration and decorative lego pieces for Connor’s 4th birthday. 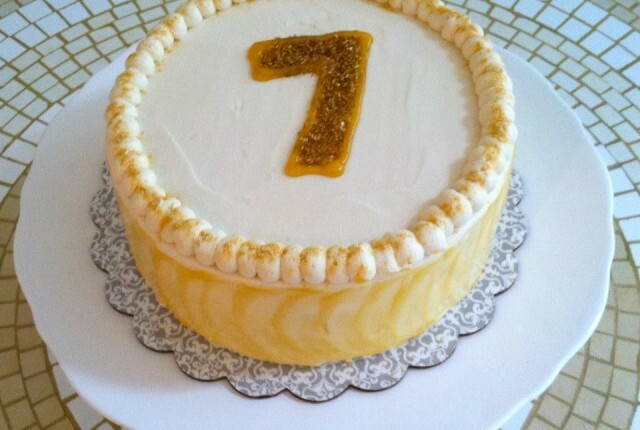 A chocolate cake with peanut butter filling and cream cheese icing, for a 7th birthday party. 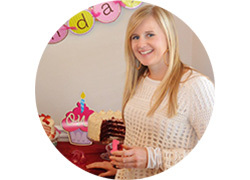 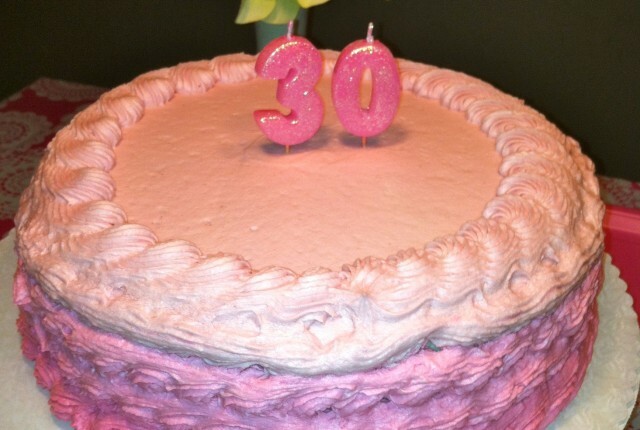 A silver white cake with raspberry buttercream icing for a 30th birthday celebration. 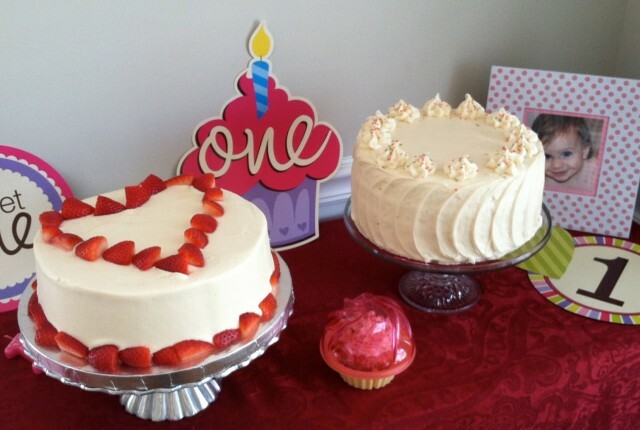 One strawberry and one red velvet cake for Talley Mae’s first birthday. 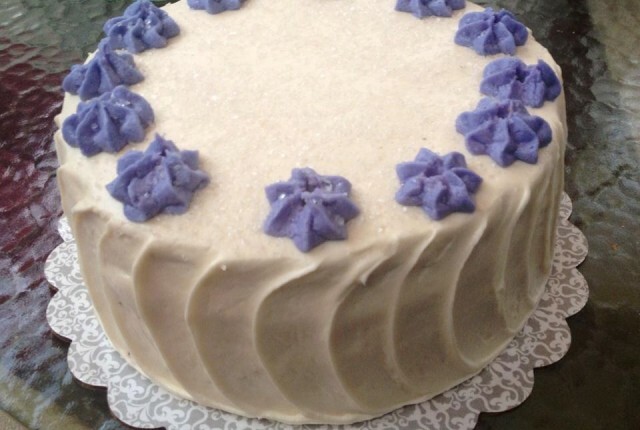 A red velvet cake with cream cheese icing for Will’s 30th birthday. 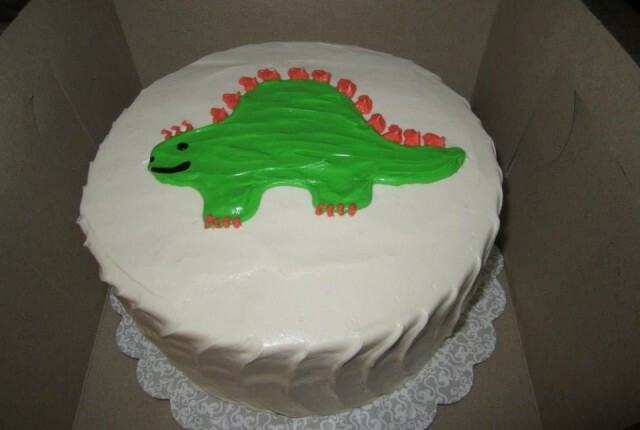 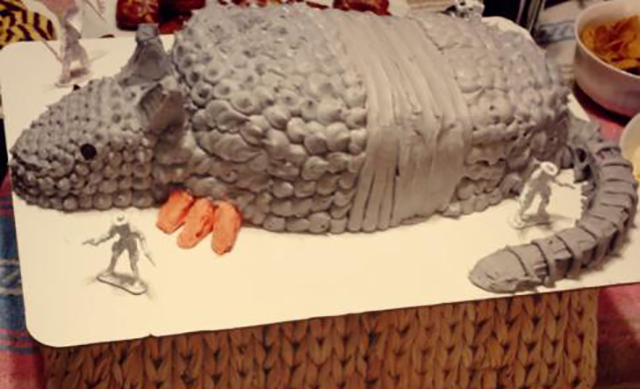 A yellow cake with cream cheese icing in the shape of a dinosaur, for a children’s birthday party. 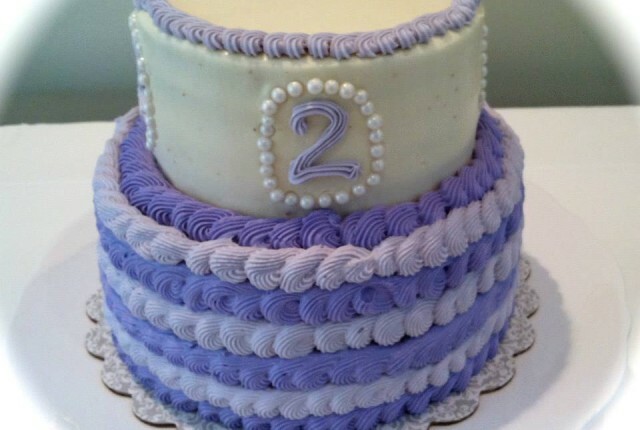 A pumpkin cake with cinnamon cream cheese icing for Clara’s 2nd birthday party. 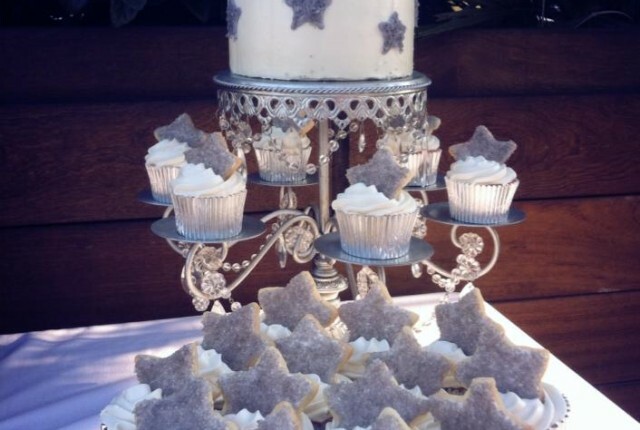 A strawberry cake and cupcakes with cream cheese icing, topped with silver sprinkled sugar cookies, for a 30th birthday.